Are you wanting to try out some foods cooked by none other than your Lakewood High peers? If so, you’re in luck. The Ranger Cafe will be opening on Tuesday, October 23. The Ranger Cafe is a part of the Culinary Arts program here at Lakewood High. The Culinary Arts program is just one of fourteen West Shore Career-Tech programs offered by Lakewood, Westlake, Rocky River, and Bay Village. For those who did not know, the Ranger Cafe is a student-run restaurant. 25 juniors and seniors from Lakewood, Westlake, Rocky River, and Bay Village are in charge of preparing, cooking, waiting tables, managing the cash register, and more. 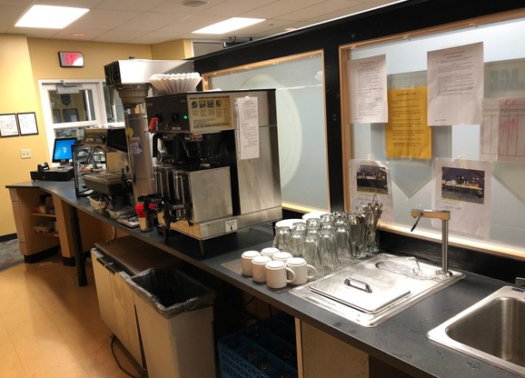 The cafe will be open on Tuesdays and Wednesdays from noon to 1:30 p.m. and only on days school is in session. This would mean being closed on school breaks or snow days. “The juniors, who are here in the morning from 8 to 11 a.m., prepare, while the seniors, who are here from noon to 3 p.m., serve. It’s definitely a team effort with probably one of the nicest facilities around. The kids get a real-world experience under a controlled setting,” said Culinary Arts Instructor Rob McGorray, who is responsible for teaching the seniors. The West Shore Career Tech programs are made to help prepare students for their career interests with both in-class learning and hands-on tasks. Culinary Arts is just one of many that are made to help students with passions in a certain field of work achieve their goals. “It’s a fast-paced class that never slows down. It’s stressful but hopefully it’ll be worth it,” said current Culinary Arts student, Jerry Winch.